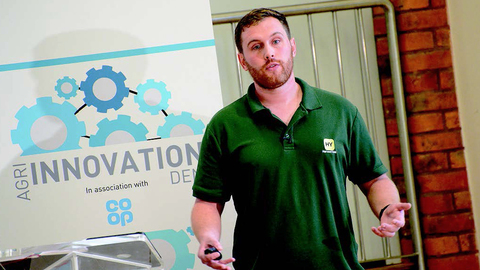 Last week saw an extremely successful day in Briefing Media and The Co-operative Food’s Agri-Innovation Den, with four finalists taking away firm promises for further progression. Six finalists made the trip to Wootton Park, Warwickshire, to present their business concepts and all faced tough questioning from our expert judging panel (left to right in picture above): Briefing Media chief executive Neil Thackray and group editor Emma Penny, Overbury Farms manager Jake Freestone and agricultural development manager for The Co-Operative Food Group Will Jackson. 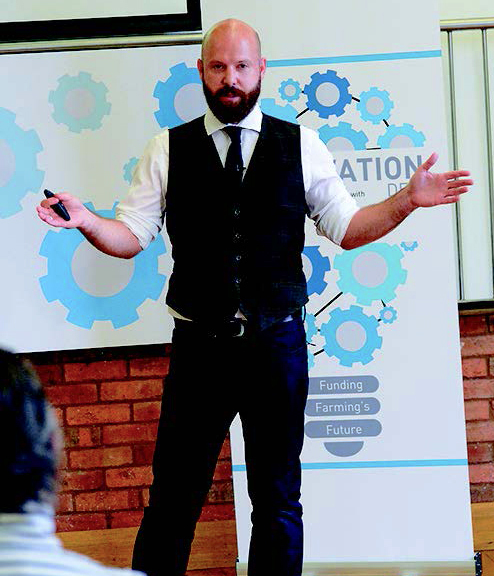 The judges all agreed the day had been truly inspiring, with Mr Thackray saying: “The quality of businesses and level of innovation was extraordinary. Every single one of them was doing something which will change how people in agriculture work. Allowing farmers to create a shared, working map of their farm, fieldmargin helps them make more informed day-to-day decisions and streamline communication on their land. 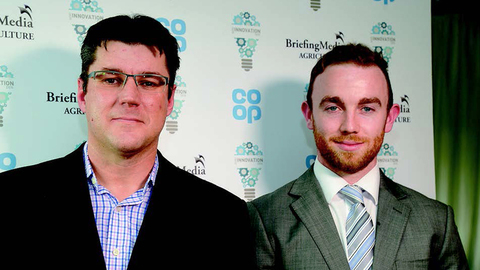 The judges were keen to oer their support to Fieldmargin, with both Will Jackson and Jake Freestone oering to help with trial work in terms of introducing Rob to forward-thinking farmers who could help with product development. 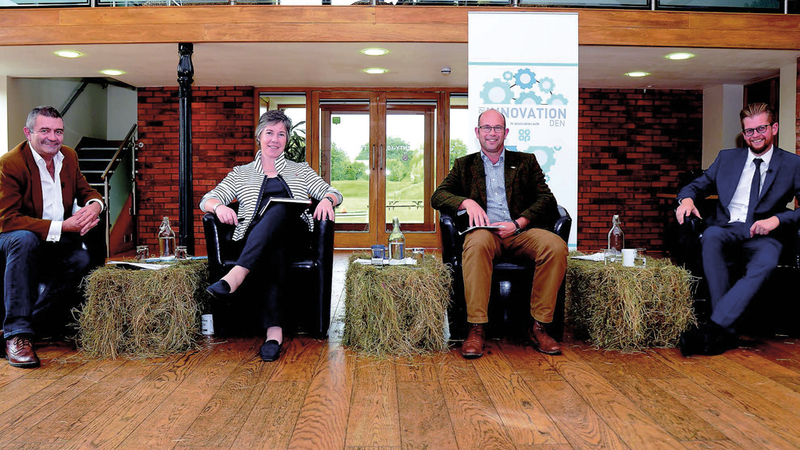 Neil Thackeray went one step further by oering help in disseminating the concept to farmers and potentially helping with marketing, intimating he would also explore investment opportunities further down the track. Neil Thackray said he found AOX a ‘massively interesting’ concept which he was very keen to explore further. He will be sitting down with Richard shortly to explore the system before ‘very possibly’ investing in the company. 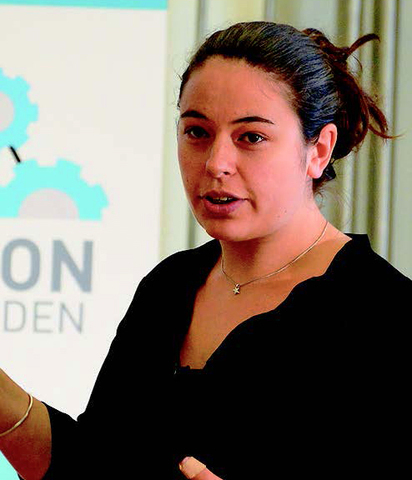 The idea for WeFarm is to connect smallholders across the world to share information and knowledge and help them improve their farms and livelihoods. It is unique because it uses peer-sourced information rather than more traditional top-down methods of information sharing. Herdwatch is a farm management app which allows farmers to record their compliance and management information in real time. 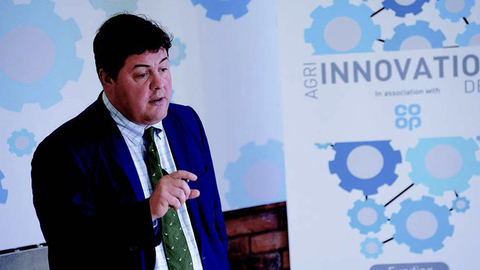 Its aim is to enable farmers ‘to record farm and animal events on the go, anytime, anywhere, even without internet access, for less than £2.50/week’. HarvestYield helps agricultural contractors get paid faster by providing efficient and accurate job records on their phones, which are automatically synced back to the client to ease the invoicing process. Drone AG aims to make drone systems affordable and accessible for farmers and agronomists with a focus on integrating products and analysis of data to help farmers achieve end results. 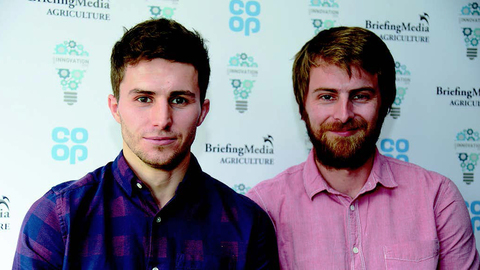 Judges were impressed by the brothers’ mix of in-depth knowledge on agriculture and drone technology, but they felt they needed to revisit their sales projections. They said there were lots of potential avenues the business could take in its development, but before deciding which way to go, the brothers needed to really try to understand the size of the market.